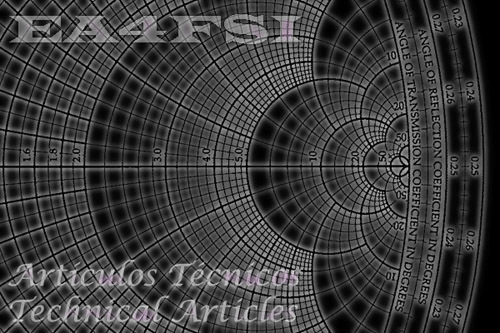 Welcome to the EA4FSI-28T1's technical articles page. If you want to submit comments or suggestions, please use this form. 1. Articles about Radio Propagation. NVIS communications in the HF band (Nov 2008). Daily evolution of the ionosphere (Mar 2010). 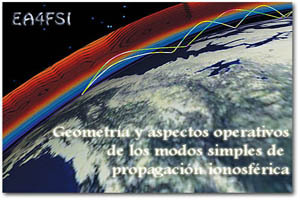 Geometry and operative aspects of the simple modes of ionospheric propagation (Apr 2010). 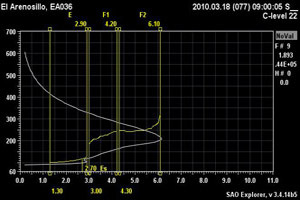 Analysis of the radio contacts between the Canary Islands and South America in the 50 MHz band in March 2010 (Apr 2010). NVIS Propagation: Study and Experiences. Memorial de Ingenieros nº37, year 1989 (Spanish Army Corps of Engineers Magazine). Reproduced with permission (Jul 2014, Spanish). NVIS propagation model: study of a practical case. 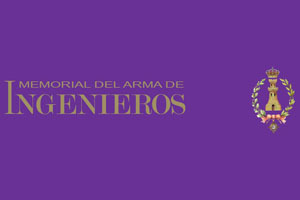 Memorial de Ingenieros nº39, year 1990 (Spanish Army Corps of Engineers Magazine). Reproduced with permission (Jul 2014, Spanish). Planification of Radio Links in the HF Band. Spanish Army Corps of Engineers Magazine (Memorial de Ingenieros) nº92, July 2014 (Spanish). 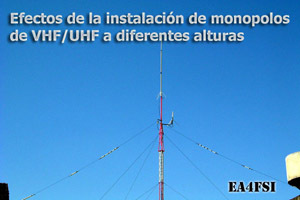 Effects of the installation of VHF/UHF monopoles at different heights (Dec 2009). VHF/UHF monopole ground planes with 4 radials (Dec 2009). Notes on antenna simulation using NEC-2 (Ago 2012). 3. 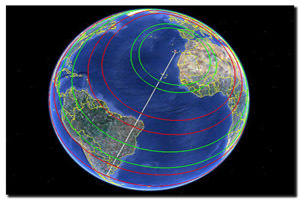 Articles about Radio Direction Finding (RDF). Adcock/Watson-Watt Radio Direction Finding (Ago 2012). 4. Articles about Space Weather. 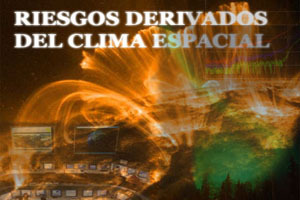 Risks derived from the Space Weather (Nov 2010, Spanish). Impact of severe Space Weather events on the terrestrial radio communication systems (Mar 2011). 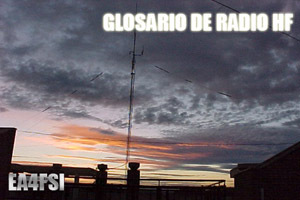 HF radio communications glossary (Nov 2009, Spanish). 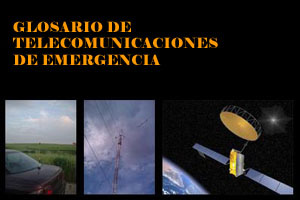 Emergency Telecommunications glossary (Oct 2010, Spanish). 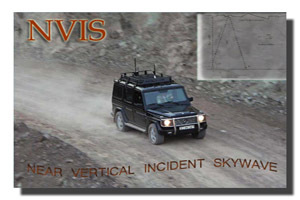 Description of the near vertical incident skywave (NVIS) mode of propagation in HF, which allows communications up to 300 km without shadow zones. Article published in the Spanish Amateur Radio Union Magazine. A collection of terms related with radio communications in the HF band. The glossary has currently 202 terms. Last updated on 28MAY14 (v8). Analysis of the effects derived from installing a VHF/UHF monopole at different heights over ground, made with 4NEC2. The optimal heigths are determined and also the heights to be avoided, as a function of the calculated gain taking into account the antenna, the mast and the ground plane. 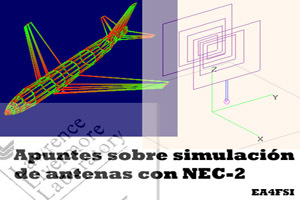 Analysis of artificial ground planes for VHF/UHF monopoles, performed with 4NEC2. Includes ground planes made of 4 radials at 90 degrees and 45 degrees. Educational video about the evolution of the different layers of the ionosphere during a whole day, using scientific data from the ionospheric sounding station "El Arenosillo", located in southwestern Spain. This article describes the geometry of the propagation of radio waves through several hops using one of the layers of the ionosphere, a mode commonly used in the HF bands and also in the VHF and even the UHF bands under some circumstances. Propagation study on the contacts made by amateur radio stations between the Canary Islands (Spain) and several countries in South America, in the 50 MHz band, between the days 17-21 March 2010. A collection of terms related with emergency telecommunications. The glossary has currently 167 terms. Last updated on 13OCT10 (v2). 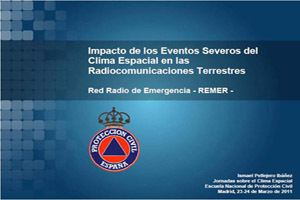 Report presented in November 2010 to the Spanish General Directorate of Civil Protection and Emergencies (DGPCE), on the occasion of the Technical Congress on Space Weather. Provides a description of the Space Weather phenomena and an analysis of the risks for people and several technological systems, as well as a description of the observation and early warning systems currently available in several countries. Available in Spanish only. Lecture on the impact of the severe Space Weather events on the terrestrial radio communication systems, presented in the Spanish National Civil Protection School (General Directorate of Civil Protection and Emergencies, Ministry of Interior) during the "Conference on Space Weather", 23-24 March 2011. Available in Spanish only. 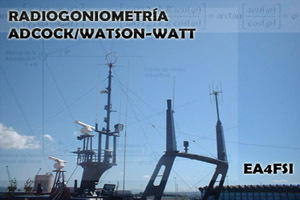 Technical description of the radio direction finding systems type Adcock/Watson-Watt, based on the employ of four monopololes with an additional sense monopole to avoid ambiguities. 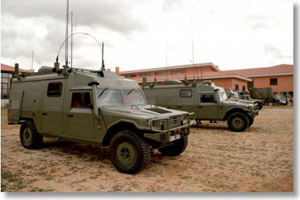 Those systems are commonly used in military environments (SIGINT), radio navigation and radio direction finding during emergencies, in the MF, HF, VHF and UHF radio bands. The theoretical explanation is backed by radiation patterns made with 4Nec2 and the analysis of the demodulated signals using a function plotting software. Transcription of the original article by the then Captain Julián Iranzo Collado of the 21st Tactical Signals Regiment of the Spanish Army, published in the "Memorial del Arma de Ingenieros" (Spanish Army Corps of Engineers Magazine), nº37, year 1989. Reproduced with permission. Available in Spanish only. Transcription of the original article by the then Captain Julián Iranzo Collado of the 21st Tactical Signals Regiment of the Spanish Army, published in the "Memorial del Arma de Ingenieros" (Spanish Army Corps of Engineers Magazine), nº39, year 1990. Follow-up article of "NVIS propagation: studies and experiences", published in the nº37 of the same magazine and also available in this site. Reproduced with permission. Available in Spanish only. A methodology for the planification of frequencies in the HF band, taking into account the network topology, its technical parameters, the ionospheric propagation conditions and the working bands with frequency allocations. Available in Spanish only. The article was published in the Spanish Army Signals and Engineering School Magazine (Memorial de Ingenieros), in July 2014. (c) 2008-2019 - Ismael Pellejero Ibáñez - EA4FSI - 28T1 || Contact form || Site map || Page last updated: 25/01/2015.